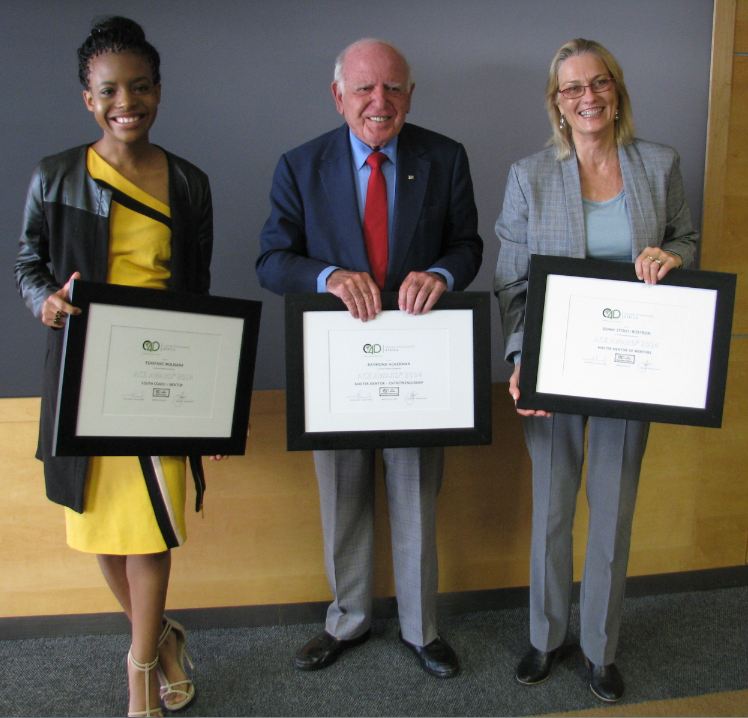 Dr Sunny Stout-Rostron, received the ACE Award for “Master Mentor of Mentors”. Sunny, Founding President of COMENSA, Founding Fellow and Research Advisor at the Institute of Coaching at McLean Hospital (a Harvard Medical School Affiliate) and Visiting Lecturer at the University of Stellenbosch Business School, received the “Master Mentor of Mentors” Award for her commitment to leadership, coaching and mentoring development in South Africa. This award was given from the first Africa ACE Awards and presented by C4D-Africa (Coaching 4 Development Africa) at the Pick n Pay Corporate Headquarters in Kenilworth, Cape Town on Friday, 23 May 2014. C4D promotes Creativity, Coaching and Mentoring development throughout Africa and partners with government, business and individuals to develop Africa’s vast under-tapped potential. C4D successfully fulfilled the task of finalizing the 2014 ACE Award winners by merit out from over 80 candidates, and considered the caliber of recipients in their various categories. Sunny Stout-Rostron of Sunny Stout-Rostron Associates received the “Master Mentor of Mentors” Award. Wendy Johnson, President and Chief Executive Officer of the Worldwide Association of Business Coaches (WABC)® is delighted to announce that Sunny has been recognised at WABC Member of the Month for June 2014 for her contribution to the emerging profession of coaching on a global scale.